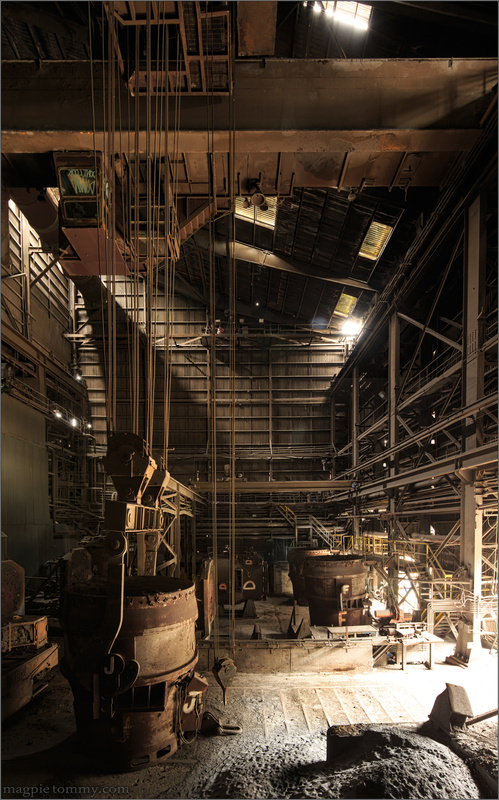 We went for a wander round a mothballed U.K steel plant. Due to cheep imports from over seas it is obvious it will never run again. The site has changed hands many times , but went into administration on 25 January 2012 with the loss of 350 jobs. 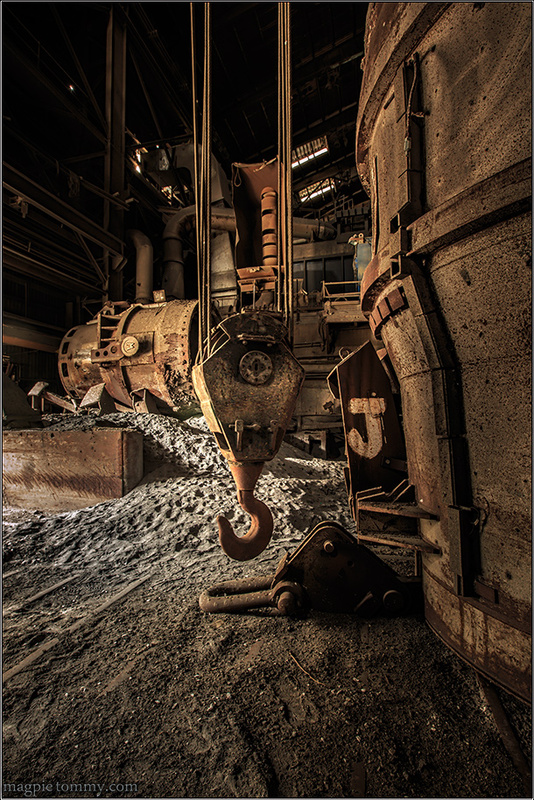 The first photo in this post is a five shot vertical panorama, five shots stitched together. the final coped image being 1.9gb with over fifty million pixels.